TRD Pro trim. CARFAX 1-Owner, ONLY 23,000 Miles! PRICE DROP FROM $43,535, FUEL EFFICIENT 20 MPG Hwy/17 MPG City! Heated Leather Seats, Nav System, Back-Up Camera, Satellite Radio, iPod/MP3 Input, Hitch, TRD PRO PACKAGE, 4x4 CLICK ME! Leather Seats, Heated Driver Seat, Back-Up Camera, Satellite Radio, iPod/MP3 Input MP3 Player, 4x4, Aluminum Wheels, Privacy Glass, Keyless Entry. 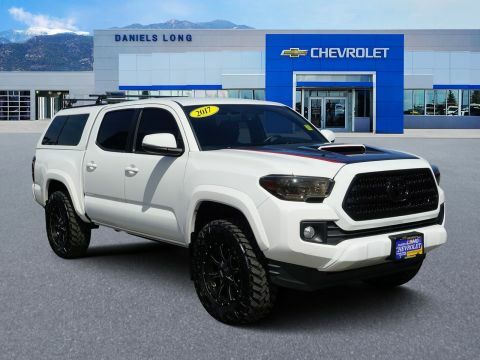 TRD PRO PACKAGE TRD Pro grade package, Class IV Hitch Receiver, Trailer Sway Control, 130 Amp Alternator, Power Steering Cooler, Engine Oil Cooler, Entune App Suite, Destination Search, iHeartRadio, MovieTickets.com, OpenTable, Pandora, Yelp, Facebook Places and Slacker Radio. 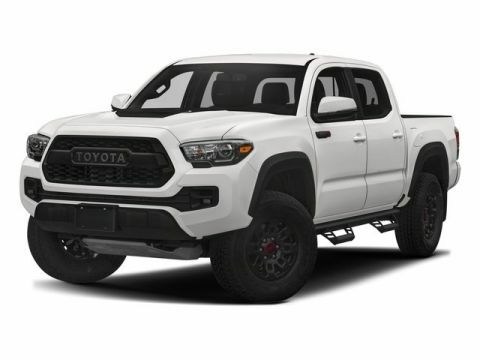 Toyota TRD Pro with CEMENT exterior and BLACK/BLACK interior features a V6 Cylinder Engine with 278 HP at 6000 RPM*. 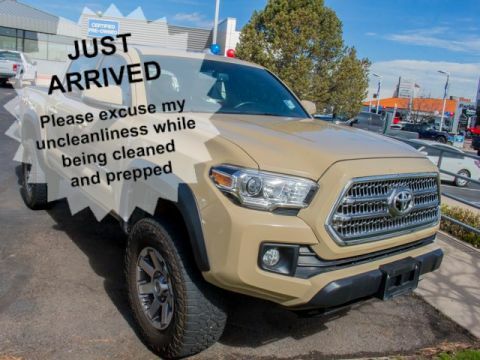 Edmunds.com explains Able to do much more than haul building materials from the home improvement store (which it does quite well), the Tacoma gives off an off-road lifestyle vibe that it can back up with actual performance.. 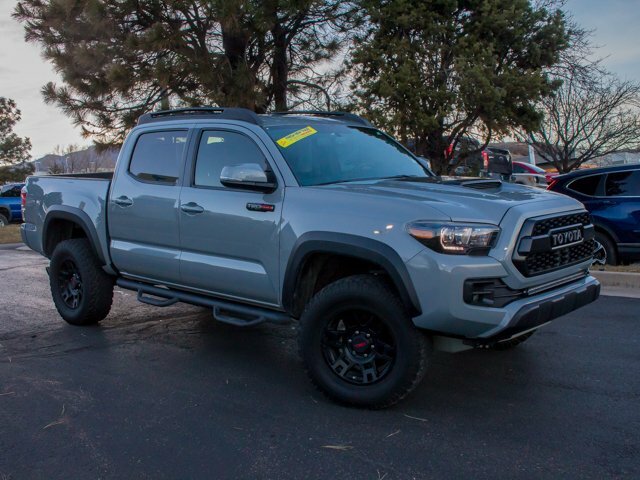 Blind Spot Monitor, Cross-Traffic Alert, Child Safety Locks, Electronic Stability Control, Brake Assist, 4-Wheel ABS, Tire Pressure Monitoring System, Front Disc/Rear Drum Brakes Great Gas Mileage: 20 MPG Hwy.